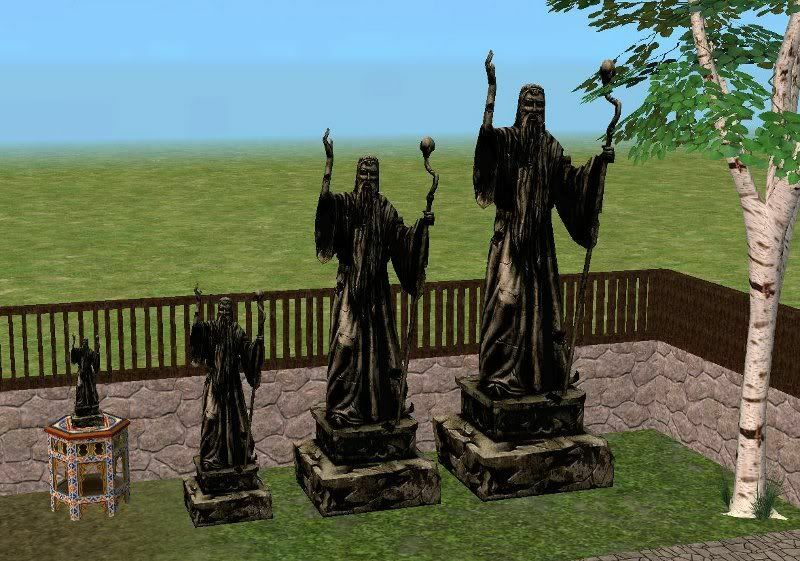 This is The Sims Medieval Wizard statue for The Sims 2. It comes in 4 sizes, Large, Medium, Small, and Table sized. The table sculpture is placeable on all surfaces and is BHAV allowed as a valid centerpiece. All of the sculptures are repository linked from the large sculpture. 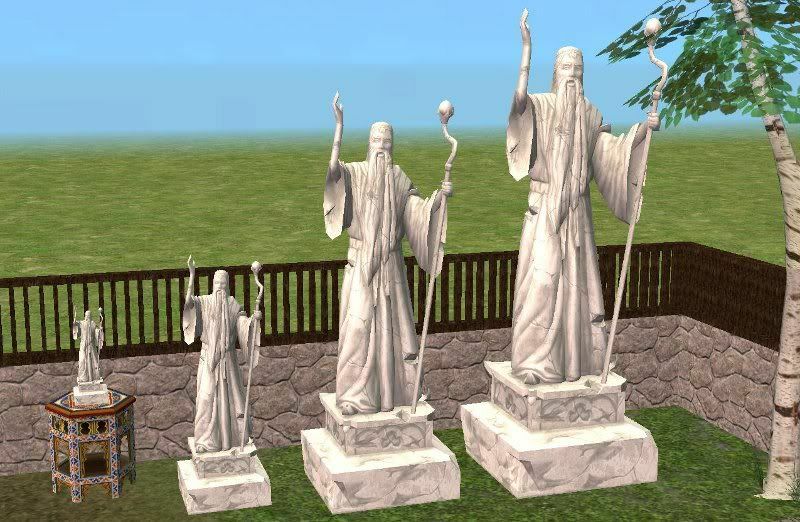 To recolor the smaller sculptures, you will have to recolor the large sculpture since they don't have textures. 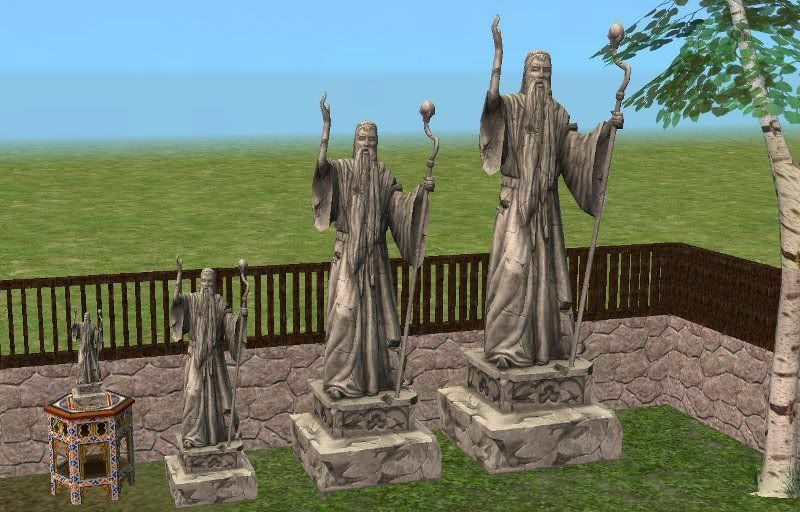 Any recolors of the large sculpture you have in your downloads folder will show up in all sizes as well. Found in decorative/sculptures with a price of §3000 for all 4. All files compressed with the compressorizer. Download the half-wall here. Enjoy!